This anatomy can be tricky for some to visualize as its appearance is understood by knowing the direction of x rays and how they course through this process. So to try and show that I’m adding some 3D renderings from a CBCT scan. The zygomatic process of the maxilla appears as a radiopaque U, V, J shaped entity superior to the first/second molar on radiographs. 3D rendering of the anterior portion of the skull from a coronal view. 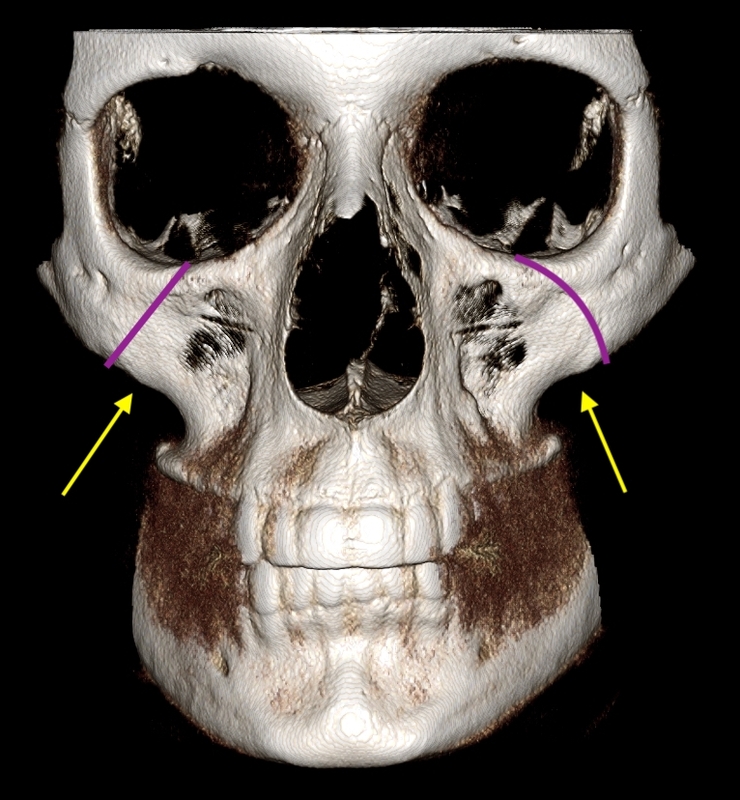 The zygomatic process of the maxilla is a triangular shaped process that juts out laterally from the maxilla (yellow arrows) to the zygomatic bone (junction of two bones noted with purple line). 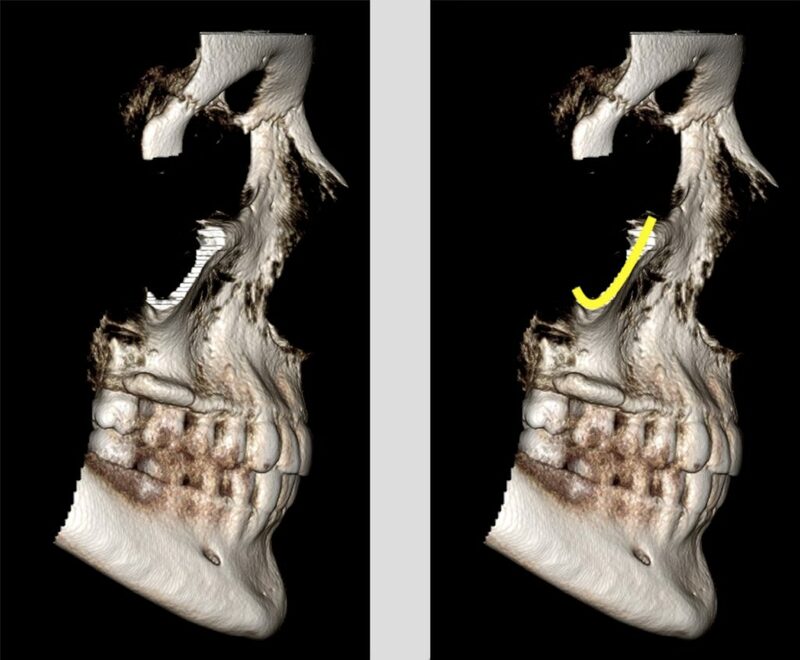 3D rendering of lateral view of the zygomatic process of the maxilla representing the direction of the x rays passing through the skull for a periapical radiograph. The x rays pass through the cortical border of the process along the long axis creating a radiopaque area with the characteristic U, V, or J shape. The zygomatic process of the maxilla as seen on a periapical radiograph. Left image shows J shape with yellow. 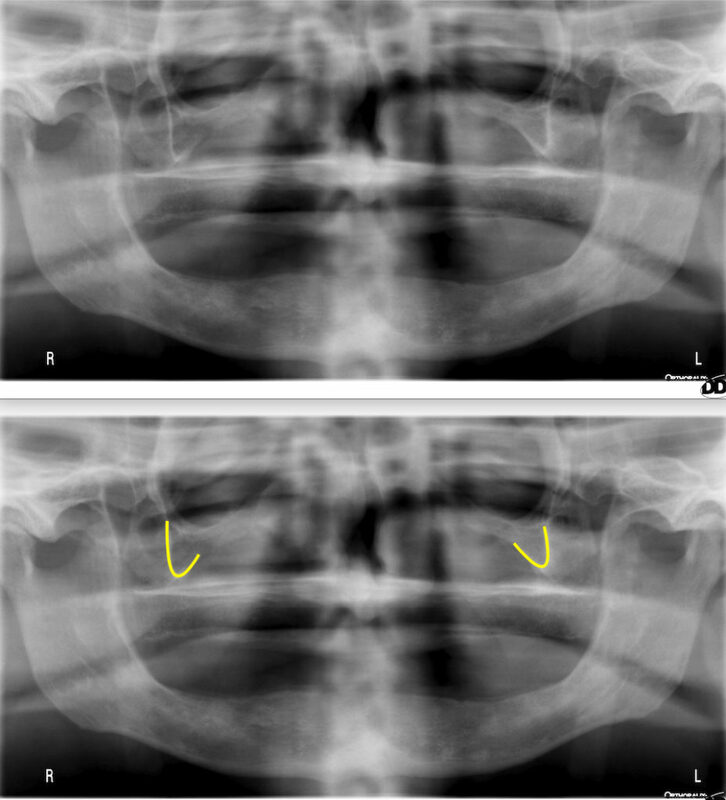 The zygomatic process of the maxilla as seen on a panoramic radiograph (pantomograph). Noted with yellow on the bottom image. If you have any questions about the zygomatic process of the maxilla, please leave them below. Thanks and enjoy!